Specially formulated, water-dilutable, d-Limonene based cleaner. Designed for extremely difficult cleaning jobs found in the industrial and cleaning environments. Effective in dissolving grease, oil, ink, and grime. Air tools, mechanical brakes, clutches, chains, wire rope, motors, dies, molds, parts, bearings, generators, compressors, rollers, presses, automatic drip machines, floor scrubbers, power washers, glues & other cleaning equipment. 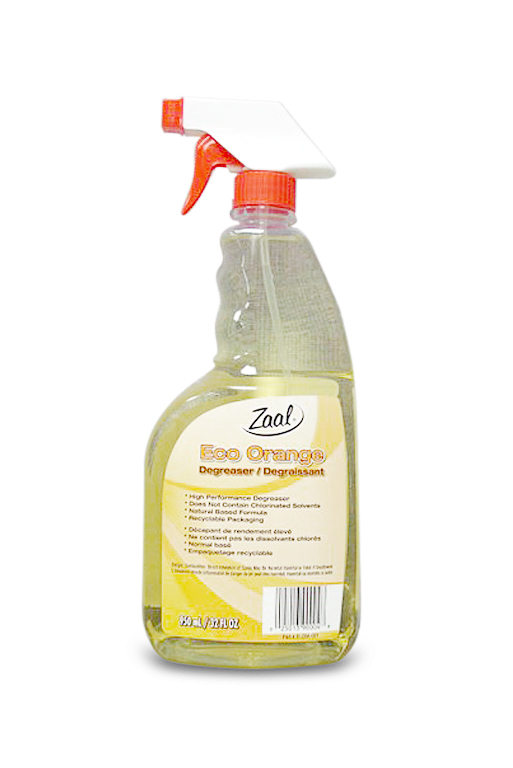 Eco Orange is a high performance degreaser containing no chlorinated solvents with a natural based formula making it user friendly. This formula will not turn white when water is added like others so there is no concern with run off into the environment. The nature of the formulation where it once emulsifies the oil and grease facilitates quick oil separation.